Swordfish Islands: The Kickstarter is now live! The Kickstarter for the Swordfish Islands: Hot Springs Island is now live! Finally! Hot Springs Island is a high fantasy sandbox adventure setting that can be used with any table top role playing game. It's comprised of two books: One for players and one for the game master. 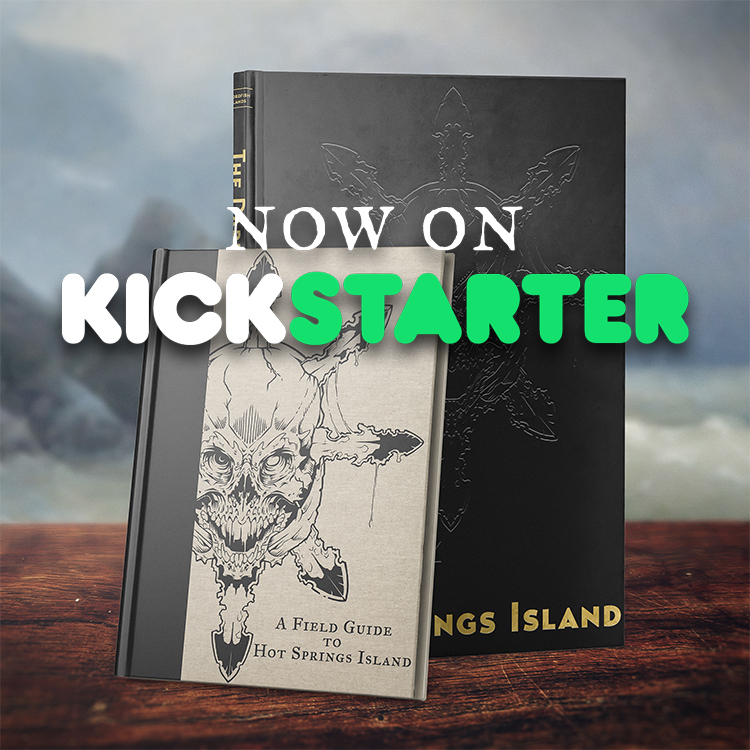 A Field Guide to Hot Springs Island is a fully illustrated, 240 page book for players. It is written "in-character" and can be used by characters in the game world to help identify plants and monsters, translate ancient languages, and as a resource of advice and rumors. Check it out! Tell your friends! Let's make some beautiful books!